FRESH COAT OF GORGEOUS LIGHT GRAY PAINT! 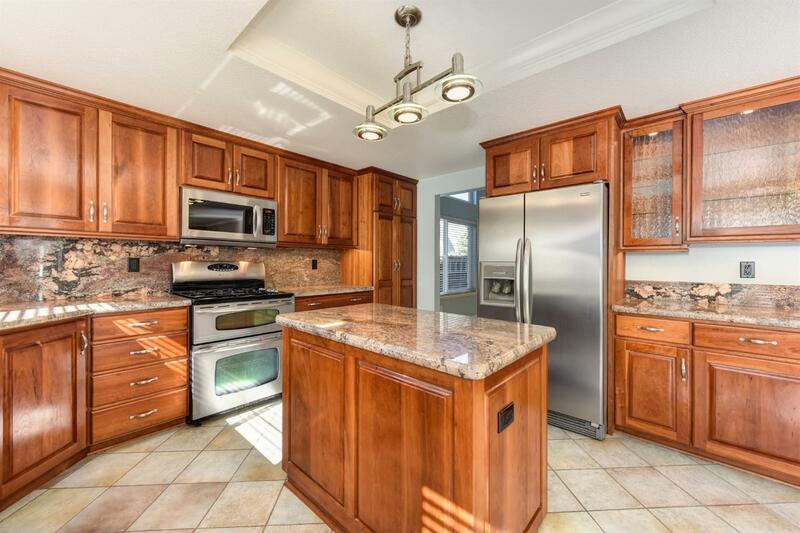 Charming home with vaulted ceilings, huge windows, natural light streaming in! Custom cherry kitchen cabinets with granite. Pool with solar and salt system. Award winning schools and beautiful park nearby. Waterwise front yard 2 yrs old. LED lighting throughout. Majority low-e windows. Garage door openers for both double and single doors. Whole house fan! Huge master closet and bathroom. Quality, custom cabinets and features throughout! No Mello Roos. No HOA!